The name of the Bulldog is very easy to decipher. The dog was named after its ability to fight with bulls in the arena. They were used primarily in the sport of bull baiting in earlier times till the 1880s. (Rs 35,000 - Rs 50,000) approximate cost,which can very according to the puppy and the location. Ever wonder what is common between Yale University, American Army and Marine Corps and a few popular rugby and football teams in Canada and US? Yep, it’s their Team Mascot!! These institutions and many more across the world have adopted the English Bulldogs as their team mascot and are absolutely proud of it! English Bulldogs, further referred to as Bulldogs, are extremely confident dogs and as a result they often land in trouble. Extremely tenacious in nature, a Bulldog is a dog with a gruesome past - ancient Romans used Bulldogs in a bloody sport called Bull Baiting where the dogs would fight Bulls and won more than often. Despite their ferocious appearance, bulldogs today hardly resemble their ferocious ancestors. One will be hard pressed to find a dog with a more loving and sweet disposition than a Bulldog. Bulldogs gained popularity amongst children after they were featured as the ferocious neighbour to Tom and Jerry in the cartoon series. Today, popular celebrities such as Brad Pitt & Angelina Jolie, Jessica Biel, Adam Sandler, Olivia Wilde, Reese Witherspoon, Will Smith & Jada Pinkett Smith, David Beckham, Ozzy Osbourne, Pink, Fernando Torres, Michael Phelps, Vir Das, Gloria Estefan and Shemar Moore have kept British Bulldogs as their faithful companion. If you are the owner of this breed or are planning to get one as a family pet, you are making a brave but inspiring decision. 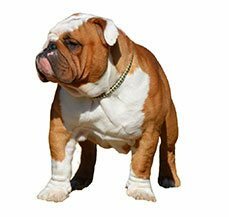 We bring to you some of the aspects that you will have to keep in mind when getting a Bulldog to help you understand the physical and temperamental built of this breed. Bulldogs today are very different from their ferocious ancestors. Known to be a descendant of mastiff-type dogs, the Bulldog belonged to England. In ancient Rome, Bulldogs were banned on the streets due to their ferocious and strong temperament. As early as the 13th century, these dogs earned their name from the ancient sport of bull baiting, which involved the dog using its force and fighting a bull. Though, bull baiting was a process being followed to tenderise a bulls meat before it was slaughtered, so much so that in many towns in England, laws were developed that required the bulls to be baited before they were slaughtered. During the fight, the dog would hold on to the snout of the bull and try to bring it down, while a bull in its defence would try to haul the dog using its horns. In late 1835, bull baiting was outlawed in England and this caused a worry amongst many who were admirers of this powerful and persistent breed. A few collaborated to save the breed and for the benefit of the dog and later its owners, worked towards re-engineering the breed altogether. 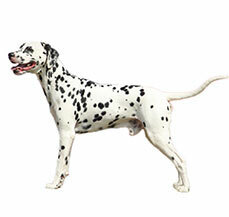 Breeders were careful to only select and breed the dogs that had a sweet and gentle temperament. In 1859 breeders started showing Bulldogs in various competitive dog shows and so the trend began. In 1886, Bulldogs were registered with the American Kennel Club and recognised a Bulldog as a breed in 1890. In present times, Bulldogs rank as the 5th most popular purebred dog in the United States of America, a tribute to the dogs credentials as a perfect companion. During the World War 2, Bulldogs were also called the Churchill Dogs as they exemplified courage and the strenght of England. To this day, Bulldogs remain the National Dog of England. As adorable they may appear, Bulldogs are an extremely heavy and powerful dogs. Their heavy body and short legs do not make them suitable for swimming, so as a pet parent to a Bulldog, please do not drop them in a pool as they would drown like a stone! Unlike other dog breeds, Bulldogs face a lot of problem when giving birth as they have very tight rears. Due to their shape, Bulldogs are unable to give birth to puppies without medical assistance, and generally cesarean surgeries have to be done.Another unique aspect of a Bulldog is that they do not breath from their noses but through their mouths due to their brachycephalic skull. While breathing they gulp a lot of air and as a result they tend to fart a lot. So if you are not particularly comfortable with smelly rooms and loud farting noises ever so often, a bulldog is definitely not your choice of dog. Bulldog is one of the famous breed for mascots around the world. They are the mascots for the Marine Corps in UK and at present have 39 American universities that use them as mascots. In addition to this their fun stature and even temperament have made them a part of various movies and caught the fancies of celebrities the world over. The Bulldog is known for its comical looks. Though it might look temperamental to some with its undershot jaw on the contrary is one of the most loveable pets around. This is one of the prime reasons and these pets have got such widespread screen presence. The most famous bulldog of all times is Spike from Tom and Jerry something we all remember from our childhood. In addition to this it has also featured in movies like ‘Little Nicky’. Bulldog seems to be one of the favorite breeds in the celebrity world at the moment. There is a prolific list of celebrities that have them as pets. This includes Hollywood superstars Brad Pitt, Reese Witherspoon, Adam Sandler, Pink, Olivia Wilde, Joe Jonas. Along with this sports superstar David Beckham and Michael Phelps also own this adorable pooch. Closer home comedian and actor Vir Das is the proud owner of English Bulldog. English Bulldogs have a short fine textured smooth and glossy coat and have soft loose skin on the head, neck and shoulders. His head is covered in heavy wrinkles and near the throat there are loose folds which are also called dewlap. Bulldogs require impeccable grooming everyday. Using a damp soft cloth, wipe the face especially the wrinkles. Make sure that the inside of the wrinkles are completely dry after they have been cleaned else there are chances of fungal skin infections inside the wrinkles. Since Bulldogs breathe from their mouth, their nose tends to get dry and with time flaky.Consult a veterinarian and apply a soothing ointment such as petroleum jelly to keep the nose soft. Bulldogs do not shed much, as pet parents, ensure to brush the coat daily with a firm bristle brush so that there is proper blood circulation in the skin and also, the skin can be checked for any rashes or infections. Start early dental and paw grooming for your Bulldog puppy so that dental infections do not cause any problems for the dog as they grow up. Keeping the nails trimmed will also help the dog walk comfortably and not be painful.Regularly check the ears for any signs of redness, foul smell, wax buildup or rashes. In case you find any, seek immediate medical help. Cherry Eye is a condition where the gland under the eye protrudes and looks like a cherry. In case of a cherry eye, surgery will be required to remove the infected gland. Dry eye is caused when the tear gland does not produce sufficient tears hence giving the eye a dry appearance or a blue haze. It is a painful problem and the vet may prescribe medication or tear drops to administer. Inverted or reverse sneezing is a condition when nasal fluids drip down on the Bulldog’s soft palate causing it to close. Brachycephalic syndrome is a disorder found in dogs with short heads and narrow nostrils. In this disorder, the airways get obstructed at varying degrees and can cause laboured breathing and even complete collapse of the airway. Hip Dysplasia is a genetic disorder where the hip bone has a defect in connecting with the hip joint as a result of which the dog may experience pain or lameness in either of the rear legs. 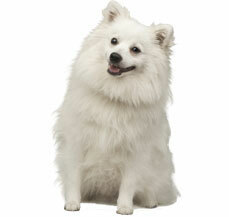 As the dog grows, he / she may also develop arthritis. Before getting a puppy, check the medical documents of the parents to rule out hip dysplasia. Tail problems arise as Bulldogs have inverted tails or screw tails that have folds between them. As a precaution, you must keep the tail dry and clean between the folds to avoid any skin infection. Flatulence - Since bulldogs breathe from their mouth, they have very high levels of flatulence Bulldogs are prone to obesity so as pet parents you will have to keep a check on their diet and exercise regime. Obese dogs are more prone to developing health disorders than healthy ones. English Bulldogs are one of the most tenacious and confident dogs and have a reputation for courage that makes them an excellent watchdog. Bulldogs are also very sociable and sweet and have a kind and slightly stubborn nature. Bulldogs are known to be friendly and easy going and do very well in the company of children.Their lovable nature has won the hearts of many across the world. Bulldogs are also very lazy in nature and enjoy a laid back lifestyle.They would rather spend time in their favourite spot in the house sleeping or playing with children than go out in the yard and run about. Like all dog breeds, early socialisation with children, other human beings and pets will ensure a well developed and gentle temperament. Bull dogs no not fare well in extreme cold or hot climate. Therefore, if you plan to get a Bulldog, you will have to ensure that there is a provision for temperature control. Since Bulldogs are compact and small in size, they do well in apartments. However, due to their brachycephalic skulls, Bulldogs breathe through their mouths, they suffer from flatulence. As a parent to a Bulldog you will have to be prepared to get used to flatulence and foul smells. Care will also have to be taken especially if you stay in places where the yard may have a pool. Bulldogs can't swim and have a high probability of drowning if in a pool. Bulldogs are extremely proud and independent dogs and it is their proud personality that makes it very difficult to train them. If you bring home a Bulldog puppy, you will have to start with basic obedience training at the earliest. One will have to show high levels of perseverance while training a Bulldog puppy.You may take help of professional trainers for the same.All forms of training for your Bulldog puppy should start at an early age. It will be imperative for new pet parents to start house training as soon as the puppy arrives so that there are fewer incidents inside the house. The English Bulldog is known for its wide, medium sized compact built and characteristic short legs. A Bulldog has a massive body and a characteristic brachycephalic skull with the forehead that falls in folds. They have a wide muzzle with a deep broad stop. The nose is broad and black with large nostrils. The eyes of a Bulldog are dark and deep set while the ears are small and thin set high on the head. Bulldogs also have the characteristic deep underbite. A male Bulldog may stand anywhere between 12-16 inches in height and weigh anywhere between 24 - 25 kgs while a female Bulldog may weigh between 22 - 23 kgs. A tail of a Bulldog may be straight or screwed and carried low. 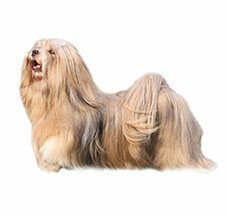 They are blessed with straight short smooth glossy coat and can come in various colours such as - red brindle, washed out red brindle or white or a combination of these colours.